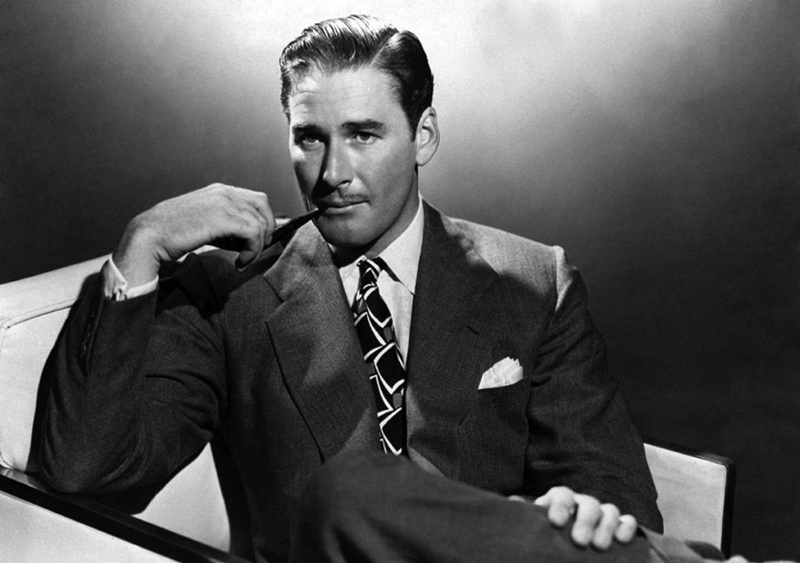 "Lux Radio Theater -- The British Agent"
Womanizer, swashbuckler, and movie star, Errol Flynn had a reputation that preceded him. After a childhood in Australia, with a few scandalous expulsions from school, Flynn moved to New Guinea and bought a tobacco plantation. After a failed crop, he moved in on the movies. After a few years of acting in Australia and England, he was discovered by Hollywood. Errol Flynn once won $30,000 answering questions on sailing on the 1950s TV quiz show The Big Suprise. Amongst his wild parties and affairs, Flynn acted in a slew of adventure and action movies, playing many pirates and outlaws. This collection includes Errol's appearances on some of the great old time radio shows of yesteryear, such as Lux Radio Theater and Cavalcade of America. Many of these exciting shows are radio versions of his famous movies, but this collection also includes a rare episode of Flynn's show, Modern Adventures of Cassanova. Be the first to comment on "Errol Flynn"